Feature the contemporary Manhattan upholstered headboard in your bedroom for a customizable look all your own. Select from three upholstery styles: single body fabric (pictured), body and accent insert fabric or leather. Additionally, you can choose to add button tufting, contrast welts or nailhead trim (available in both brass and nickel) for a more stylized look if desired. Headboard posts reach to floor level; wooden legs are not included. 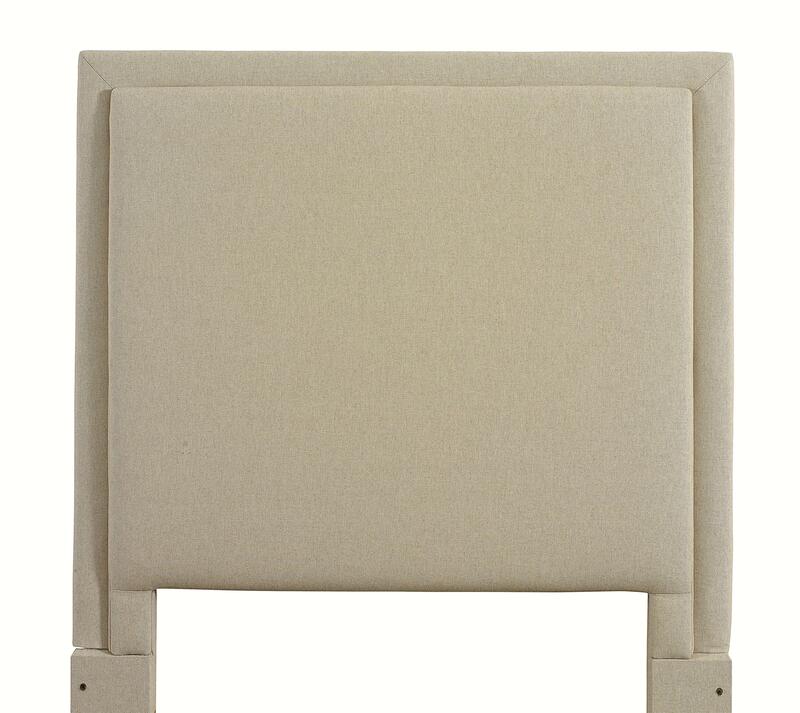 This headboard is available in Twin, Full, Queen, King and California King sizes. The Custom Upholstered Beds Twin Manhattan Upholstered Headboard by Bassett at VanDrie Home Furnishings in the Cadillac, Traverse City, Big Rapids, Houghton Lake and Northern Michigan area. Product availability may vary. Contact us for the most current availability on this product.